Age has this funny way of sneaking up on us and catching us unawares. It is perhaps the reason for the popular proverb- youth is fleeting, but old age is lasts an eternity. Ironically, most of the age related problems we face are due to the fact that we don’t take good enough care of our bodies, or in some cases even harm it, even if by a few silly mistakes. 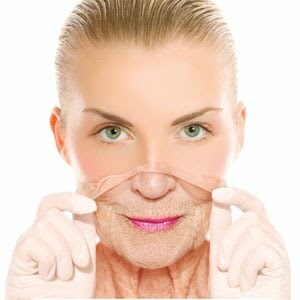 It’s not difficult to delay the aging process and a few lifestyle changes can go a long way to help us achieve this. One of this lifestyle changes that ought to be made is with regards to the diet; hence, here is a list of the ten best foods that slow down the loathsome process. Not only that, but we have also included a list of the ten worst foods that you should try your best to avoid if you want to prevent aging from hitting you too soon for comfort. 1) Green tea: Green teas are loaded with antioxidants that are crucial for fighting harmful free radicals in the body, which could cause damage on the skin and internal organs if not neutralized. 2) Tomatoes: Tomatoes contain an antioxidant called lycopene which preserves skin texture and prevents against wrinkles, fine lines and other age related skin maladies. 3) Green vegetables: Greens like spinach and fenugreek are rich in vitamins, minerals and folates, which are crucial anti-aging ingredients and are also used for many other metabolic processes. 4) Hemp seeds: Hemp seeds are the only known source of edible gammalinoleic acid, a form of omega-3 fatty acids that helps in building the membrane of skin cells and rendering them firm and damage resistant. 5) Fish: Besides being a great source of protein, and one of the safest ones (as you will realize on reading further), most fish contain omega-3 fatty acids that are beneficial in preventing brain aging. 6) Berries: Colored berries are another food rich in antioxidants, especially one called anthocyanins which not slow down aging but may also be able to fight certain cancers. 7) Olive oil: Olive oil contains the essential omega-3 fatty acids, antioxidants and anti-inflammatory substances that ensure general well being and consequently provide for anti-aging. 8) Whole grains: By virtue of the fact that they help prevent a wide variety of diseases owing to their nutrition value, whole grain cereals like oats, barley, etc. are anti-aging foods that will help you remain in the peak of health for longer. 9) Dark chocolate: Dark chocolate is one of the most antioxidant rich foods and comes with the double benefit of improving blood circulation, which means that your skin looks fresh and young. Dark chocolate is as healthy as it is tasty! Pick the one with higher cocoa percentage. 10) Garlic: Other than its delicious pungent flavor, garlic is also a great way to boost your immune system and improve your cardiovascular health, which goes a long way in ensuring longevity. 1. Coffee: Though a great way to wake up in the mornings, coffee accelerates the aging process since it boosts cortisol production which thins the skin in the long run. 2. Hydrogenated oils: Hydrogenated oils are rich in tans fat which not only contributes to weight gain, but also leads to heart diseases and hastens aging. 3. Excess sodium: As found in salt, chips packets, etc. sodium is a major cause of aging since it induces puffiness in the face and limbs; besides, it also increases the blood pressure, which proves detrimental to heart health. 4. Cured meats: The nitrates that go into the making of processed meats are essential for the product, but they break down in the stomach to form nitrosamines that are powerful carcinogens. 5. Alcohol: Excess alcohol is going to quicken aging since it increases liver toxicity, which in turn shoots up the free radical count in the body. Besides, it also causes skin dryness and weakens the immune system. 6. Olestra: A chief component in non-fat chips, olestra is a synthetic compound that binds with essential vitamins and antioxidants and renders them ineffective, which in turn leads to aging. 7. Sugars: Sugar weakens collagen and elastin, two crucial binding tissues, and leads to rapid skin aging in the form of wrinkles and other age related skin maladies. 8. White bread and pasta: These two wheat based products have a high glycemic index, which proves detrimental to cardiovascular health and consequently speeds aging. 9. Saturated fats: Though they may not have visible aging effects, saturated fats from red meat make the brain age more quickly than normal and are a special concern for those susceptible to neurological degenerative diseases. 10. Foods containing additives: Food additives like monosodium glutamate, saccharin, aspartame, etc. that are added as preservatives, sweeteners or taste ingredients have also been shown to accelerate aging and should thus be avoided. Shishir Rao is a web writer who writes on a variety of topics ranging from health to technology. He uses the web as his preferred tool of information dissemination owing to its reach and easy to confirm credibility. Is 70% cocoa chocolate ok?